Since 2017, we have held an annual fundraiser at Reality Ballroom in Durham, NC. 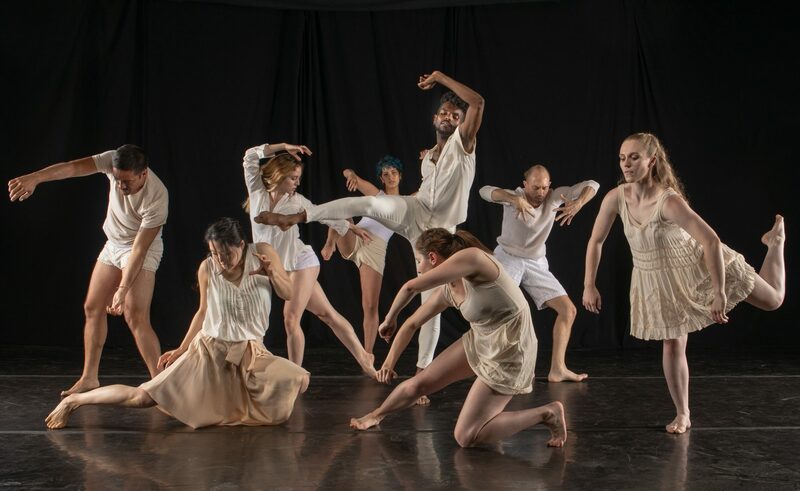 The goal for our Gala is to raise funds for living wages for the dancers and to cover outreach, production and touring expenses throughout the year. We decided to call the Gala Revolutionaries in the Dark to create a platform for artists creating socially engaged work. We want to celebrate artists that are literally shining a light in dark places by challenging many of society’s deepest assumptions. We see our work as a cultural tool that helps to expose and humanize the emotions we feel. We are deeply inspired by those providing a voice for others who may not have another way to be heard. This work calls us to action and we want to continue to participate in these shared efforts for deep and lasting social change. Our company’s mission is to create socially conscious work and our outreach initiatives continue to expand to support other artists and organizations with similar mission driven work. We see our Gala as something that not only supports us and the work we do, but we are actively seeking to change the way artists are valued. We see this as a part of a much bigger conversation. And just as we want to create a platform for other artists shining a light in the dark and working to create change, we want to shine our light on them as well! We hope the Gala will continue to grow each year and become an event that deeply inspires us all. In our inaugural year, we produced 22 performances, 4 touring productions, 3 world premieres, 20 outreach classes, and 8 community workshops. We also provided a platform for 2000 community members by hosting Durham’s March for Our lives. We brought visibility to individuals with special needs by creating two performances at DPAC and were able to provide clothing and blankets to individuals who are homeless. We provide a magical evening with Inspiring Guest Speakers who are creating art with impact and the festive evening features powerful performances, delicious wine tastings and hors d’oeuvres, a wellness raffle and silent auction, and an artist after party! Immersive experiences have included original, hand crafted poems by the Poetry Fox who lets you inspire creation for a single word and Kevin Seifert Photography‘s Green Screen Photo-Op placing you in a season photo right along with the company. Mainstage performances have included SDW’s E Pluribus Unum Composer Alejandro Santoyo; DJ PlayPlay and SDW performing exciting season excerpts and sneak peeks. Stay tuned for updates about guest speakers, performers, and other exciting announcements about our 2019 gala! For information about sponsorship opportunities for the 2019 Revolutionaries in the Dark Gala as an individual, organization or business, please visit our sponsorship page or contact us to discuss the possibilities.